Check out the Jerry-O-Lantern I made for next week’s Laughs on Lark Off to NYC! 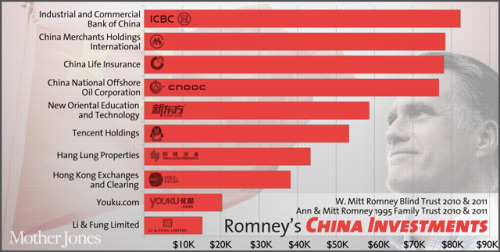 Are Romney’s Chinese Investments Damning or Distracting? The GOP candidate invested in 10 Chinese companies recently—including ones that embezzled, partnered with Iran, and stole US trade secrets. The lowdown is here. Well, in fairness, there’s not many American banks and big corporations that Romney could invest in that aren’t crooks and liars and cheats. On a more personal level, I’m getting more and more disturbed by the tone both campaigns are taking against Chinese corporations. Not just because it seems hypocritical given the abuses over the course of the last two decades that led to the global economic collapse (emphasis intentional). I also mean because it’s an obvious, and in my opinion hollow, attempt to recreate a Red Boogeyman for the sake of scoring easy points on foreign policy on voters who can’t be bothered to understand the intricacies of it. Now, I’m not of any false pretense here when it comes to the Chinese government and its abuses, both in terms of economics and human rights, as well as how that extends to their expansion of the private sector (people often talk about corporate corruption and power as a sliding two-dimensional scale from free market to socialist but it’s far more complicated than that and arguably that scale doesn’t really matter; but that’s another discussion entirely). What I am saying is that there are worse companies and threats here and abroad, and though criticism may be warranted, the emphasis comes across as hypocritical and duplicitous.